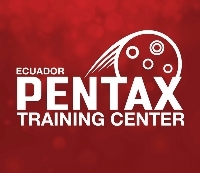 The Pentax Training Center Ecuador by Ecuadorian Institute of Digestive Diseases (IECED), organize an ONLINE COURSE of "Tips and Tricks of POEM (Peroral Endoscopic Myotomy)". The medical-scientific event it is hold on March 24, 2018, and will be broadcast from the headquarters of IECED, located in Guayaquil (Ecuador). TIME: 09h00 to 16h00 (TIME ZONE: Chicago-Houston-New Orleans). To learn how to perform POEM. To discuss different techniques available for POEM. To learn about the outcomes of POEM. To learn how to treat adverse events and more. The tips and tricks for POEM. Eduardo De Moura, MD (BRAZIL). Case 1: Achalasia type 1. Case 2: Recurrence Achalasia type 2 after Heller Myotomy 10 years ago. Case 3: Achalasia type 3. Case 4: Achalasia type 1: Redo POEM. Case 5: Achalasia type 2 with recurrence after Endoscopy Dilatation. Case 6: Achalasia type 2. Carlos Robles-Medranda, MD, FASGE (ECUADOR). Contact us to: comunicación@ieced.com.ec or +5934 2109180 Ext: 116.